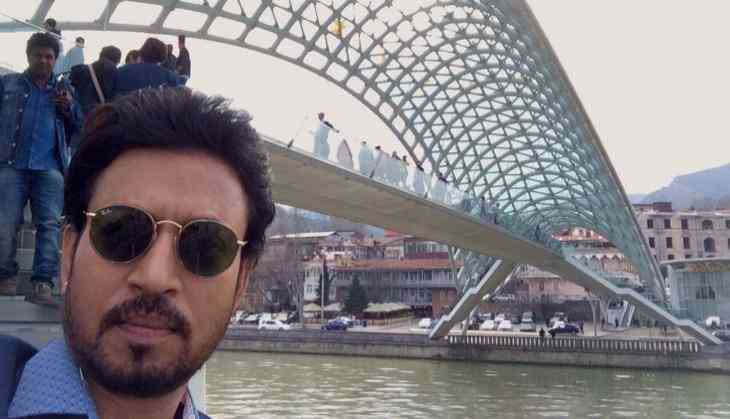 Director Mostofa Sarwar Farooki's Bangladeshi bilingual film "Doob - No Bed Of Roses", starring actor Irrfan Khan, will have its world premiere at the 20th Shanghai International Film Festival. The film, co-produced by Abdul Aziz and Irrfan under the banner of Jaaz Multimedia and Irrfan Khan Films, revolves around members of two families who discover a love for each other when the head of a family dies. "Doob - No Bed Of Roses", which has received a No Objection Certificate from the Bangladesh Film Development Corp (BFDC), also features Nusrat Imrose Tisha, Rokeya Prachy and Parno Mittra. The film will premiere on June 25 at the film festival, which is scheduled to be held June 17-26. The movie was in news earlier this year when it emerged that it had been banned in Bangladesh for being loosely based on late Bangladeshi writer and filmmaker Humayun Ahmed. It was said the movie was about Ahmed, who divorced his wife of 27 years and married an actress 33 years his junior. But the filmmaker denied that it was a biopic. Irrfan is currently shooting in New York for his upcoming Hollywood project "Puzzle" with Kelly Macdonald. He is trying to adjust his schedule and fly to China to attend the Shanghai International Film Festival. Amongst his Bollywood projects, Irrfan can currently be seen in "Hindi Medium", which also features Pakistani actress Saba Qamar.